Colorful Cupcake Cat: Watched too many episodes of Stargate?? Not possible!! Watched too many episodes of Stargate?? Not possible!! My geekiness has no bounds, when I am watching a movie or TV series I find it so fun to recognize some of the actors from something else and then I go to IMDB and Wikipedia and research the crap out of it. Then I have this uncontrolable need to tell somebody about my discovery, even though the person has no idea what I'm even talking about. At the moment I'm watching Stargate SG-1 and Stargate Atlantis at the same time (expert (my brother) tells me I have to watch them simultaneously for better understanding of the two) and have been recognizing many actors who are playing small parts in the series. So to tell SOMEONE of my discoveries and maybe find a few who are interested in this I decided to blog about this obsession of mine. This is Adam Baldwin who played Jayne Cobb in Firefly. He plays in two episodes of Stargate SG-1 and apparently doesn't like his kids very much. Do you know who this is?? It's Cory Monteith from Glee (love that show). He plays a minor role in one episode of Stargate Atlantis!! And according to IMDB he also appears in one Stargate SG-1 episode which I haven't seen yet. I can't remember seeing him in anything else that Glee so I was a little surprised to see him in a Sci-Fi series. Do you remember the show Who's Line Is It Anyway?? Love it and still watch it from time to time. 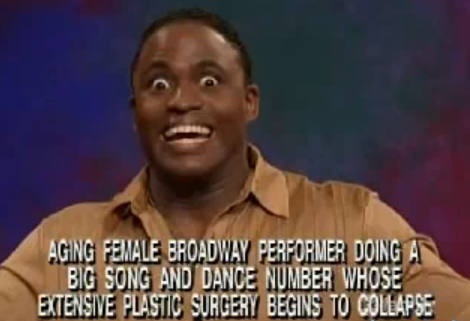 The goofy looking Wayne Brady is hilarious. Well happy Saturday everybody!! Cheers. Cult Nails Flash Sale Is Now!!!! A trip to the vet..
Summer is CANCELED. Deal With It! Feeding the Nail Polish Monster with Cult Nails! !